So whats on your tombstone? 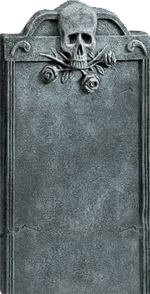 Here are a pile of tombstones epitaphs to put on your tomstone creations. Have fun with your tombstone names. and email us if you have any great tombstone epitaphs for us. The funnier the better. We will add the best ones here.